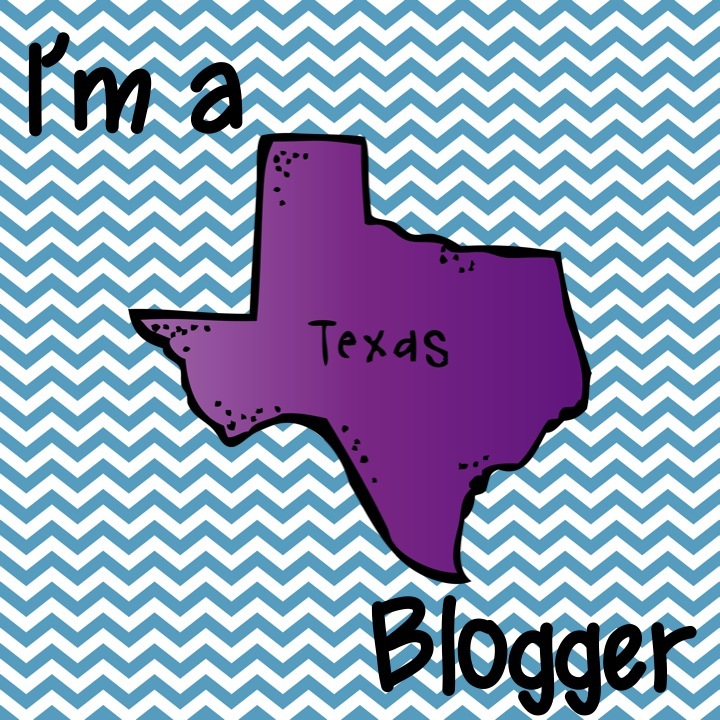 Teach Laugh Plan: TX Blogger Fun, Giveaways, and my blog roll! Hot! Hot! Hot! Oh, not the ladies in this picture but the weather! 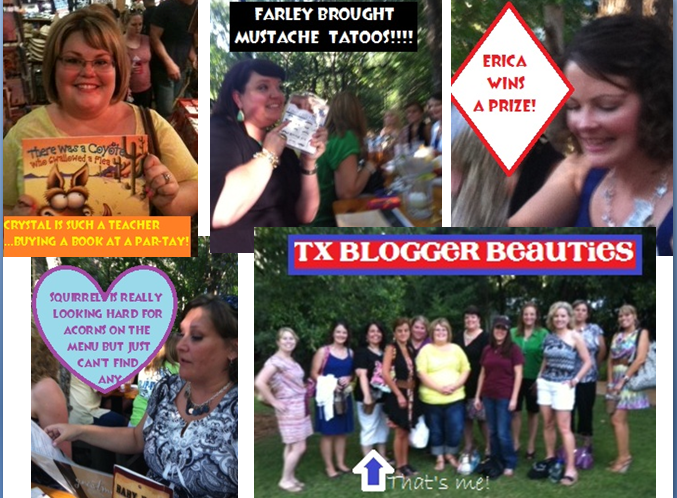 Well, I won't lie there are a bunch of Texas blogging hotties but I was talking about the HEAT! Dang South Texas heat.... and apparently, Reagan (the tiny hottie in the green), forgot it is June because we ate outside and we all melted, especially me who is NOT a tiny hottie! However, with all the laughs and a few cold drinks we were A.O.K! I met Farley, Reagan, and Squirrels at Hobby Lobby and Farley drove us to Gruene, Texas to meet the others. Gruene is such a quaint little town full of history and fun! It's only about 45 minutes from where I live. Before I left, my daughter said, "Have fun and don't talk to strangers". HAHAHAHA I never really thought about my fellow bloggers as strangers but in fact they were. I was about to go in a car with 3 people I met on the internet..... was I coo coo for cocoa puffs? It weird that I trusted them just like I would my real "in person" friends and now they are my real "in person" friends so when I'm called crazy its not for "talking to strangers"! We had so much fun laughing, eating, sweating, and laughing some more. I wish I took more pics but this is all I have folks. Please don't feel like you need to enter because I want to win (I'm kidding...kinda! There will be more then one winner) but if you want a chance to win some UH-MAZE-ING prizes you need to visit Laura Candler's Corkboard Connections! There are over $2000 worth of prizes! HOLLA! That's not a typo, there are really three zeroes after the 2! 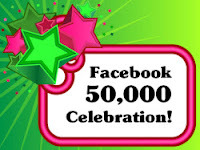 I have almost the same amount of fb followers as Laura....only 49,000 + to go! LOL! 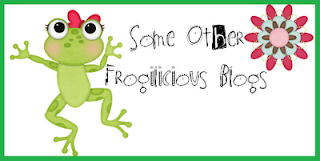 Make sure your hop on over to my Blog Roll page to visit other Fabulous blogs! If you have an educational blog please link up in what ever category your blog fits under. I go to my blog roll and visit all the blogs quite frequently. Tune in on Tuesday for an awesome giveaway I am having! I will be giving away a Luna Interactive Projection camera sponsored by Learning Resources - a $199.99 value! Super fun! 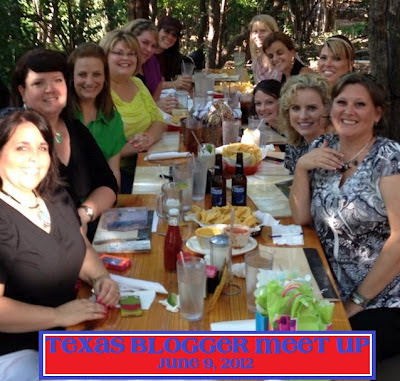 Thanks for sharing about your blogger meet up. Iit was great fun! Thanks for taking the time to read it. Yay 4th Grade Grogginess (as Reagan would say)! Had fun, but next time we'll pick someplace INSIDE! It looks like you Texas ladies had a great time! There was an Orlando one today, but I had to miss it :( Booo. I hope you're enjoying your summer! Looks like the Florida ladies had fun too! I loved seeing their pics! I am so sorry you missed it Amanda. Where do you teach in SA? If there is another Texas meet-up I will let you know. Looks like you all had a great time!!! Wish the Texas meetup and the Florida meetup could have gotten together!!! Too Fun!!! Tara, a TX and FL meet up would be do awesome!!!!!! Looks like you all had fun too! We would have extra fun tigether'! Wish I could have gone! I'm in Texas, but was sweating it out at a swim meet instead. Looks like y'all had a great time!